Your friends, family, and coworkers will have a wonderful time and have you to thank for it. 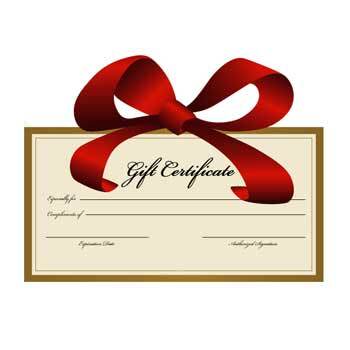 To purchase gift certificates, click on the "Add to Cart" link below. That will take you to a PayPal checkout page, where you can select the quantity of certificates you want and enter your payment information. You do not need a PayPal account to purchase these, just a valid credit card. For this option, click on the link that says "Don't have a PayPal account?" Of course, you can use PayPal funds for the purchase if you prefer. When we receive your order, we will mail the certificates to you. We will also email you information about how to redeem them online. If you have questions, contact us at 210.460.6610 or click here to send an email.